It’s a beautiful summer Sunday afternoon in the late 1970s and I’m about 8 years old. I’m standing in the back garden of my Grandmother’s house in Dagenham. I can hear the whirring of hand pushed lawnmowers as neighbours cut their grass. My Great Uncle Frank is with me and has just handed me a bronze medallion, about 5 inches in diameter. The medallion has a relief of Britannia with a lion at her feet on one side. There is also a rectangular box with an embossed inscription. I trace my fingers over the letters. “He was my brother. He was killed in the First World War”. I look up. Great Uncle Frank is looking intently at me with his piercing blue eyes. The same eyes of my Grandmother and Dad. We never knew each other, and this may seem a bizarre letter to write. I’m your Great Niece – your little sister Winnie was my Grandmother. I’m writing this in Belgium, just outside Ypres, in an area I guess you came to know all too well. I’ve come to see where you and your mates fought. There’s lots we don’t know about you but we’ve pieced together the bald facts of your story. You were born in 1898, the fourth of 7 surviving children of Mary and Herbert Greaves. You lived in extreme poverty in Birmingham. Your Dad was an electrical light switch maker, then a labourer and the family lived in two rooms at the back of a shared house in Bacchus Road. I’d imagine it was a tough existence, which only became tougher as you grew up. By the outbreak of war in 1914 both of your parents had died, along with the step-father who your mother married after your father’s death. Your elder brother Wallace had died aged 8. There clearly wasn’t a lot of money around as your mother died in the workhouse hospital. Your sister Winnie had been placed in an orphanage, and from there she went into service from the age of 14. Your youngest brother Frank had been adopted by a caring local couple who set him on a very different path in life: education, a decent job, a family. Your two older brothers, William and Herbert, had both joined the Army and were fighting in France. We know you enlisted in your local regiment, the Warwickshires, in Birmingham. We don’t know exactly when. Did you join up under age in the surge of patriotic enlistment in 1914? Or were you conscripted in 1916, when compulsory military service was controversially introduced? This looks more likely – you’d have been 18 and eligible for service. We know that after you joined the Warwickshire Regiment you were transferred into the 6th Battalion, Royal Wiltshire Regiment. This suggests you were conscripted in 1916 – it was after this point the Army started to re-allocate new soldiers from their local Regiments to Regiments they had no geographical connection to. This was prompted by the horrendous losses on the Somme, particularly amongst Kitchener’s Pals Battalions. The huge losses incurred by full frontal infantry attacks against machine guns meant that entire communities were decimated when their local Battalions suffered severe casualties. So let’s assume you were conscripted in 1916 and sent out to France to join the Wiltshires a few months later. How did you feel? Scared? A sense of patriotic duty to do your bit? Excited for the adventure? Was it better than the alternative of fending for yourself in Birmingham living a hand to mouth existence? It’s October 1988. I’m 17 and on a 6th form trip to the World War One battlefields. I’m standing at a windswept Tyne Cot Cemetery under leaden skies, looking at the rows and rows of neat white gravestones. I scan name after name of the missing on the stone tablets arcing round one side of the cemetery. I try to imagine what it was like for these lads, many my own age, to stand in those trenches then climb out over the top when the whistle went at dawn. And I can’t imagine the mix of fear, adrenalin and dread they must have felt. I turn to join my classmates getting back on our coach as the rain starts to fall, raindrops streaking the names on the stone. What I don’t realise is the significance of one of those names. The Wiltshire Regiment you joined had seen significant fighting during the War. The 6th Battalion was formed in 1915 from the rush of volunteers responding to Kitchener’s call to join the Army. It fought at the Battle of Loos and at the Somme, taking large numbers of casualties each time. By 1917 when you were likely to have joined it, the Battalion was in Belgium preparing to take part in the next great Battle. So now we come to the part of your story where we know a little bit more. In summer 1917 the British Army launched a new offensive against the Germans around Ypres in northern Belgium, aiming to push them back from the salient and away from their strategically important ports. The offensive was led by General Plumer, one of the more innovative WW1 Generals, and started in 7th June 1917 with the detonation of 19 massive mines under the German lines at Messiness ridge. The simultaneous explosion of the mines was so loud it was heard in England. As General Plumer told the Press before the mines detonated ‘Gentlemen, we may not make history tomorrow, but we shall certainly change the geography’. God knows how loud it was for you Sid – it must have sounded as if the world was exploding. The mines were a success, and the British gained ground, with your Battalion (including you, most likely) fighting in the thick of the action. There was then a pause before what became the Third Battle of Ypres began. During this time there was unseasonably high rainfall, turning the clay-based ground into a water-logged quagmire. Trenches flooded, the shell holes that pockmarked the landscape filled with water and if you fell in you could drown in them. This was the battlefield which you were to fight in. After three years of total war the landscape was totally desolate, without a building and barely a tree left standing. Ypres and the fields around it had repeatedly been fought over since 1914, the ground being gained and lost by either side. Trenches snaked through the very slight inclines of the land. It was in one of these trenches that you were standing on the morning of 20th September 1917, waiting for the order to attack. You would have looked out onto a wasteland of mud, shattered tree stumps, jumbles of barbed wire, and the remains of unburied men and horses. Your Battalion was to take part in what became known as the Battle of Menin Road Ridge, attacking parallel to the ridge line. You were exactly here, about to attack up this slope. At zero hour 5.40a.m Battalion advanced to the attack under a heavy creeping barrage by our artillery. Left front Company met with little opposition except for continuous Machine Gun Fire from the direction of CEMETERY EMBANKMENT. The machine guns appear to be located beyond the objective line and to fire through the Barrage. The dugouts in the wood at about O 6 a 7.7. were dealt with 3 Germans being killed and 19 taken prisoner. As ‘D’ Coy on the right seemed to meet with considerable resistance Capt. Williams (O.C. ‘C’ Coy) ordered his right front Lewis Gun to open a brisk fire on the dugouts in front of that Company. The Company reached its objective O 6a 75.65 – O 6a 3.7 within 37 minutes of Zero and flares were lit in response to aeroplane calls at Zero plus 42. The consolidation was covered by Lewis Guns and the Company Snipers who were busily engaged endeavouring to pick off Germans moving down the railway embankment and also keeping down enemy sniping on the immediate front – one platoon sniper remained isolated in a forward position from the morning of the 20th until relieved on the night 21/22. Left Support Company consolidated its section of the intermediate line, several casualties were caused by sniping. The ground was very wet and water logged in places but firesteps were formed with sandbags. And then at some point on that day you were killed. You were 19 years old. Your body was never found or identified. Ironically, the action you were killed in was one of the more successful ones of the war. However, the battle that followed was one of the most attritional and horrific the British Army has fought. It’s name – Passchendaele – continues to epitomise the suffering, sacrifice and for some, the futility of the First World War. In your battle the British Army advanced five miles at a cost of 100,000 men killed. 1 man for every 35 metres gained. 1 of them being you. It’s May 2016 and I’m standing again at Tyne Cot Cemetery. It’s a peaceful and beautiful place where 12,000 British servicemen are buried, the largest British Cemetery in the world. This time, however, I know who I’m looking for. I walk round the stone curved wall containing the names of 33,000 servicemen who were killed but their bodies never found or identified. These names are only those of servicemen killed after August 1917 in the Ypres salient. The original intention was for all of the missing to be inscribed on the Menin Gate Memorial in Ypres. But despite its enormous size it could only take 55,000 names – which wasn’t enough. So Tyne Cot was expanded to take the rest. The curved wall is a striking feature but within it are two circular rotundas with carved panels containing more names. I walk towards the left hand one. It’s a peaceful tranquil space. And there you are Sid, on panel 120. The Royal Wiltshire Regiment, Private Greaves, S.
I stare at the panel for a long time. I read the names around you. Were any of these lads were your particular mates? Which of the 5 NCOs listed was the toughest on you? Lieutenant Adam Shapland appears and he was killed on the same day as you, aged 22. Was he one of your officers? I place a remembrance cross at the bottom of your tablet. On it I’ve listed the names of your brothers and sister. Will and Herbert survived the war, but Will was gassed and never really recovered. He died in 1944 from the effects of the gas nearly 30 years earlier. It must have been tough knowing they survived the war but their younger brother didn’t. Your little sister Winnie married a sailor from East London (a cockney, news which may not please you) and had two sons. One of them is my Dad. I call him now and tell him I’m standing in front of your name. He’s glad we’ve found you. And I think of my Great Uncle Frank, who made sure we knew about you and inspired me to come and find you. So why do thousands of British people visit the WW1 battlefields every year to find the names or graves of relatives they never knew? There are 34 people on my trip and many are searching for relatives. One has come to see her Uncle, Harry Anderson of the Staffordshire Regiment. It turns out Harry is on a plaque just two down from you so I go to see him as well. Another lays a wreath in remembrance of the grandfather she never met at the mighty Thiepval Memorial which has the names of a further 72,000 missing from the Somme. The losses of the First World War were so great they touched every family in the country. There were over 730,000 British servicemen killed – sons, fathers, brothers, uncles and friends. I came to Tyne Cot because I wanted to honour your memory and pay tribute to the incredible bravery and sacrifice of you and your generation. I’m acutely aware and grateful that I have a life of comfort and opportunity which would have been unthinkable to you. I wanted to keep my promise to your brother Frank to remember you. And I wanted to let you know that your family loved you, and cared enough to make sure that your great nieces and great nephews knew your story. You have never been forgotten, Sid. For me, it’s so important that all of us who came after you remember you and remain eternally grateful that we have never found ourselves on the front line, being ordered to climb out of the trench. It’s 10am on a Sunday morning in June 2013. I am sat, clad in lycra, in Richmond Park in south west London, my new road bike lying on the grass next me. I am hot, tired, pretty hacked off and only half way through today’s 60 mile training ride. In less then 8 weeks I will be riding in the first Ride London-Surrey 100: a 100 mile bike ride from the Olympic Stadium, up several huge hills including Box Hill, and back to finish in the Mall. I regard the spectacularly unappetising energy bar I’m holding. One thought hammers through my brain. What on earth made you think you could do this? When Ride London-Surrey was announced in August 2012, a mass participation closed-roads cycling event, fuelled by the burgeoning public enthusiasm for the sport created by the 2012 success of Brad Wiggins, Chris Hoy and Laura Trott, seemed the perfect fundraising opportunity. At Anthony Nolan, we were keen to invest in the race and build as big a team as possible. We were fortunate to be one of the charities to secure guaranteed places for the race, which we filled quickly as our supporters showed fantastic interest. From the start, we decided to approach the race as we do the London Marathon. So we provided a full support package for our riders: retention calls, an information day led by cycling experts, training, nutrition and fundraising advice and brand new Anthony Nolan cycling tops. We took a stand at the race exhibition, giving us a great chance to chat to our riders. On race day, we had 3 very loud cheer points around the course and a post race reception with massage, food and congratulations from our CEO. For me as a Fundraising Director it was fascinating to be on the other side of the fence: not cheering on event participants but taking on the challenge myself. As a participant I felt Ride London-Surrey did a great job, particularly given the scale of the logistical challenge. Pre-event information was useful and timely; the route was brilliantly marshalled; and the mechanical/medical/food support during the race was excellent. Initially the crowds weren’t as numerous as the London Marathon but we got great pockets of support in the Surrey villages, Kingston and Wimbledon. And from the Houses of Parliament to the finish in the Mall the crowds were huge and loud. But before, during and after the race I’ve been a bit surprised by the approach of the fundraising sector to the event. Some charities (notably some who might be regarded as small charities) had a highly visible profile before the event and on race day and were giving great support to their participants. However, overall there were far fewer charities at the pre-race Exhibition than for the London Marathon; there were charity cheer points on the route but noticeably fewer than for other events and concentrated in Kingston (which the route passed through twice). I spotted only a handful of charities offered a post race reception. As a sector, it seemed as if people were taking a cautious approach to the event in year one. We’ve smashed our income target, doubling our projected income for the event and getting fantastic average income per rider. As Fundraisers, we know that participants raising money for charity delivers great benefits for those events. The participants’ reasons for taking part drive media coverage. The charity cheer points add hugely to the spectator and participant experience and race day atmosphere. And in return, events still deliver fantastic income for charities, and can enable us to build excellent long term relationships with our participants. I believe Ride-London Surrey is a brilliant opportunity for the fundraising sector, at a time when we’re facing tough challenges. If your charity has the opportunity to invest in guaranteed places for future years, I would really recommend it. And I hope that as a sector we maximise the opportunity we’ve been offered by the race organisers and do everything we can to help build this event to the fundraising level it can undoubtedly achieve. We won’t get many better chances than this. Let’s make the most of it. This year’s Institute of Fundraising Convention buzzed with energetic and enthusiastic Fundraisers sharing brilliant ideas on audiences, products and channels. Throughout the three days, across numerous sessions and on the #iofnc Twitter feed, one name came up over and over again: charity: water. Charity: water is a US charity which brings clean water to people in developing nations. Founded 5 years ago in New York by Scott Harrison, their clear fundraising proposition, backed by superb use of digital media, has grabbed UK fundraisers’ attention. I heard Scott Harrison give a plenary session talk at the Association of Fundraising Professionals’ Convention in Vancouver in April this year. He ruffled a few feathers when he said he didn’t see them as a charity; didn’t hang out with fundraisers; and saw his peers as social media and online giants like Facebook, Twitter, Google. Charity: water offers donors a simple, tangible and emotive fundraising proposition: raise a set amount and fund the drilling of a specific well in a developing country chosen by you. You can bring clean water to that community. Donors give directly, do an event or raise money through an in celebration product, giving up their birthday and asking friends and family to donate to charity: water in lieu of gifts. What can we learn from charity: water? 1. They are brilliant at giving donors choice over what their money is used for, and then showing them and their sponsors the tangible impact of their gifts. Every donor who sets up a fundraising page can check on progress of ‘their’ well at any time, shown via GPS, photo and video content uploaded by the project. They update sponsors as well as fundraisers on the project’s progress, thereby widening their pool of advocates. We’ve known for 15 years that donors want more choice over how their support is used, and to see clear and tangible impact. Charity: water is amongst the best I’ve seen at doing this. 2. Their use of video as a media, both to demonstrate their need for funds and show the impact of donations is fantastic. They use bold, confident language directly addressing the donor. They also use video content wherever they can – in PR, supporter acquisition, retention and development. They say they find video communicates best, followed by photos, with text last. Their Twitter feed shares a photo of the day rather than text content. 3. They are not afraid to be honest with their donors when things go wrong. Every September they webcast the live drilling of a well which has been funded by supporters. It’s one of the centerpieces of their birthday fundraising campaign. One year, the drilling went wrong – they failed to find water, live online in front of thousands of their supporters. Charity: water immediately emailed their entire warm database. They explained what had gone wrong with the drilling, and that they would be going to back to the village with a new piece of equipment to try to find clean water. They webcast the further drilling attempts – which were successful. They had a hugely positive response to the email; a wave of unsolicited gifts; and built their credibility with their donor base. Their openness turned what could have been a PR disaster into stronger relationships with their supporters. But there’s a couple of other things we should bear in mind. Charity: water make strong play of the fact that 100% of public donor funds go direct to the projects. They ask major donors to fund their organizational overheads (which are fairly low as they don’t directly employ project staff but work through local partners). While getting the maximum proportion of funds to the beneficiary is every charity’s goal, in my opinion the 100% model doesn’t develop donors’ understanding that it does take money to raise money, and money to run organizations professionally. At APF Scott said Charity: water had raised $62m gross over 5 years. They have around 300,000 individual donors who give or raise an average of $1,000 each. However, their ability to turn these donors into regular supporters to drive future expansion is currently unclear. Will they be able to inspire donors to do in aid of celebration fundraising year on year? Will the fantastic (and staff time intensive) communication path they take donors’ sponsors on reap dividends by sponsors becoming fundraisers? Will major donors continue to pick up the tab for overhead costs, particularly as the database grows? So what’s the conclusion? I think charity: water’s clarity of messaging, demonstration of impact, openness and use of video are brilliant. Many UK fundraisers could use elements of these in their work. I think their decision to communicate with fundraisers’ sponsors almost as closely as they do with the fundraisers themselves is fascinating. But I think part of having a mature relationship with our supporters is explaining that charities do need to spend money on IT systems, finance departments and all the other elements of ‘overheads’. Without these functions we can’t be as effective as we need to be to deliver our goals. And our charities can’t grow and we can’t help our beneficiaries without investing in fundraising. Two Heads of Fundraising hover in the kitchen, making the first coffee of the day. A junior Fundraiser, at the start of their career, bounces past heading for their desk. But what is IT? How do you define fundraising potential? What do Fundraising Directors look for when they’re promoting staff? They focus on the donor – and want to put them first. Good fundraisers understand that we’re brokers between the donors and the people they want to help or cause they want to have an impact on. Fundraisers with potential want to learn about their donors: who they are, what they want, how they want to engage with our charities, how they want to understand how their money and/or time has made a difference. Promising fundraisers set aside their ego – they don’t push to attend meetings with donors when they’re not the best person to be there or push an idea for a campaign because they love it. They take responsibility for their own development. The Fundraisers who go far in their career are the ones who make the effort to build their knowledge, skills and experience. This is more than attending conferences and training courses, useful though these are. It’s about volunteering to help other areas of fundraising to help build their knowledge. Helping steward a major donor cultivation event. Running a cheer point at the Marathon. Doing a street collection shift. It’s about monitoring fundraising trends and activities – mystery shopping other charities to see how they communicate with potential supporters. It’s about following the wealth of great fundraising bloggers and tweeters who share interesting content and views. They’re driven. They don’t want to meet their targets – they want to smash them. They understand most charities’ need for funding is infinite. They don’t get a big win or run a really successful campaign and sit back, pleased with themselves. It’s all about the next win, the next campaign, how to push themselves and their charity to do more and more. But why is the impression Fundraisers make on their bosses so important? Don’t they just gain skills and experience in a charity then look to progress their career elsewhere? Climbing the career ladder by moving charity is of course perfectly valid, and at times essential to get the breadth or depth of experience needed to reach the top. But with recruitment always risky (for both sides) and costly, and given the importance of continuity in fundraising teams, most Fundraising Directors are keen to promote internally where appropriate. This means if you show the right attributes you should have a decent chance of accelerating your career within each charity you work for. This can be great for both sides: the Fundraiser gets the opportunity to progress in a familiar and hopefully supportive environment; and the charity gets the continuity and stability which is so important for effective fundraising. Most importantly of all, the donors get a better service from a stable Fundraising team which recognizes talent and gets it into positions where it can have most impact. I’m part of a panel that will be discussing these issues and more at the IoF Convention in July http://t.co/1fRvSPwH . Come along and fire any questions you like at us, or post or comments questions below. By 9th May 2012, 80,058 people had donated £1,112,988 to the Justgiving page of Claire Squires, the tragic London Marathon runner. The outpouring of sympathy and gifts made to the Samaritans in her memory demonstrates how differently young donors engage with charities compared to previous generations, and the critical role social media plays in this. In the 80s and 90s Fundraisers adapted pretty well to the Baby Boomers’ desire to have greater choice over how their gifts were spent. Tangible fundraising products linking gifts to clear impact were offered. The Boomers sponsored children in the Third World, sent goats to Africa, adopted Meerkats in wildlife parks. But donors currently in their 20s and early 30s (the so-called Millennials or Generation Y) are different again. This is a generation that has been brought up to expect to have their views asked for and listened to. They too want to choose how their charitable donations are spent and see a tangible impact. But they are the ultimate individualists, suspicious of institutions (including charities), preferring to trust information received directly from their peer group or social media. They process information swiftly and in small pieces. 140 characters or less, in fact. The social media the Millennials have created and so enthusiastically adopted defines them. Facebook facilitates and drives their love of living their lives in public online. This is what I’m doing, these are my Friends, this is what I’m interested in. Twitter enables instant sharing of thoughts, jokes, interests, but also gives these great individualists the chance to briefly create communities when they find a cause they believe in. And it’s precisely these sudden, unpredicatable and uncontrollable cyber-causes which can be so powerful for charities. Claire Squires’ Justgiving page started trending on Twitter just a few hours after her death. The vast majority of the 80,000 people who have donated won’t have known Claire or have previously supported the Samaritans. They were touched by her story, and perhaps were motivated by feeling part of a cause or group, however briefly. Come on guys, let’s get Claire’s page to over £1m was a common tweet. Social media brought the story to the Millennials, and gave a simple way of engaging with it – a few clicks on a laptop or text to donate. My own charity, Anthony Nolan, experienced this in June 2011. A 15 year old with terminal cancer, Alice Pyne, wrote a blog with a bucket list of things she wanted to do before she died. One of her wishes was for people to join stem cell registers around the world to provide potentially lifesaving transplant matches. Someone mis-read her blog, and tweeted that one of her wishes was to trend on Twitter. We noticed #alicebucketlist starting to trend globally on a Tuesday evening. 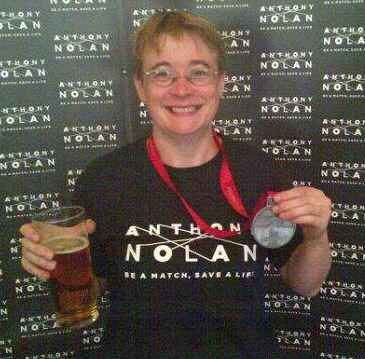 Anthony Nolan’s Digital team began to tweet the online link for people to join the Anthony Nolan stem cell register to help Alice achieve one of her wishes. Charlie Brooker tweeted about Alice that night. Next day, we emailed Charlie to ask if he’d do something else to help. In a couple of hours, he’d recorded an online appeal for young men (the priority group) to join the Register. It’s now had 45,000 views [warning – he does swear in it]. As a result of Alice trending on Twitter and Charlie’s appeal, 3,000 people joined the Anthony Nolan register in 36 hours, 1,767 of them young men aged 18-30. This is more then we usually recruit in a month. At least 1 of them has already been a match for a patient and donated potentially lifesaving stem cells. So how do Fundraisers respond to the Millennials? Fundraising and Digital Marketing teams need to work seamlessly together, Fundraisers understanding what content and calls to action work on social media, and Digital teams the need to harness interest to drive donations. We need to monitor social media pretty much 24/7 – Twitter trends don’t conveniently kick off during working hours. When an issue grabs the Millennials’ attention we have to be ready to respond immediately. This means making rapid, almost instant policy decisions about whether to get involved with a debate or development. Then sharing accessible, direct, engaging content – predominately video. They prefer pictures to words and content must be authentic. They’ll trust real life case studies; spokespeople talking, less so. Calls to action have to clearly show how they can make a difference and must be quick and easy for them to action online or via their phones. Perhaps most interesting of all, we need to give them opportunities to be conspicuous philanthropists. They live their lives (or the online version of it) in an extraordinarily public way. They want to share with their networks that they’ve backed a cause, liked content, donated to a charity. This isn’t an ego trip – by publicly affiliating with or promoting a charity they’re enjoying being part of a cause or group. A critical part of that enjoyment is sharing it with their online networks. They can be enormously effective social media campaigners for charities, if we give them the right content to engage with, tweet and post about. Their catchphrase is, after all, Get Involved. All of this poses a big challenge to Fundraising teams. Although small charities struggle with resource and brand awareness, they can benefit from having quick decision-making processes. The big charities, whilst having the resource, may find the instant and flexible response needed to harness the power of social media more challenging. The Millennials are in a hurry. They don’t have time for us to get three layers of sign-off or to form a working group to discuss how to respond to an issue. But if charities can show younger donors how they can have a direct impact on an issue, they can be incredibly effective. The opportunity is out there – it’s up to us as Fundraisers to adapt it. Get involved. I recently took part in an interesting roundtable discussion on maximising online and text donations, hosted by The Guardian. Reps around the table included some of the very big charities, some medium sized ones, and some online giving developers/suppliers. The discussion reflected the primary role of online and social media in engaging with and developing supporters, as well as the practical importance of accessible and reliable online and text giving platforms. We also chatted about the challenges for charities and Fundraisers in responding quickly and effectively to sudden surges of interest driven by Facebook, and in particular by Twitter. Social media has fundamentally changed how we as Fundraisers engage with supporters and potential supporters, particularly those under 30. The Roundtable felt larger charities, whilst having bigger resources, might find the instant reactions and quick decisions demanded to maximise opportunities from social media more difficult than smaller charities.